How To Stop Being Depressed After A Breakup? I work with people on a daily basis who are heartbroken, sad, and depressed after a breakup. It’s hard to get yourself to snap out of it, especially when your emotions have just been put through the wringer. 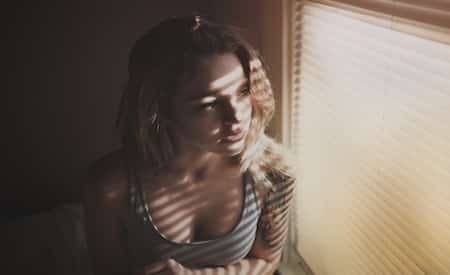 People that experience depression and feelings of intense sadness after a breakup usually think that these emotions are stemming from the loss of their ex, but the truth of the matter is that the cause isn’t always what you might expect. People feel that they got broken up with, so they’ve lost something precious to them – they lost something very dear to them, their soulmate. Sometimes it’s true that your ex is the sole reason behind the emotions you are currently feeling, but in the majority of cases it’s something more. 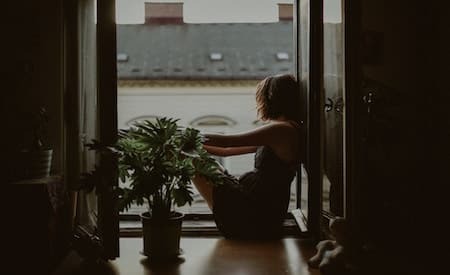 In today’s article, I am going to go over what to do when you’re feeling depressed after a breakup, and how you can get out of this funk by addressing it’s root cause. A breakup isn’t easy on anyone, and it’s normal that you’d be feeling down in the dumps right now. It doesn’t matter if it’s been weeks or months since the breakup, there is nothing unusual about feeling hurt by the way things turned out. You’re disappointed and your heart is broken, but it’s up to you to turn things around now. Whether you want your ex back or not, the first step in the right direction comes in the form of overcoming post breakup depression, and I am going to show you how to do just that. What I’m going to explain to you might catch you a bit off guard. 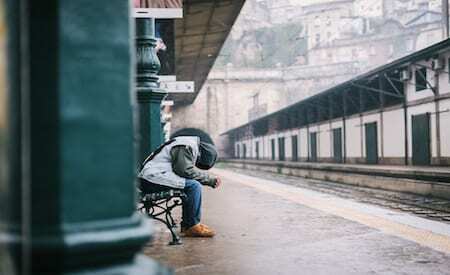 You’re probably thinking that you’re feeling like this because you’ve just lost the person you love most, because you’ve lost this relationship, and because you’ve had to say goodbye to the hopes and dreams you had for your future with this person. The truth of the matter is that the current situation is just an element in a much greater picture. The majority of people I work with have given me the opportunity to notice some interesting patterns. When a person is depressed after a breakup, more often than not, there is a deeper rooted, independent issue at hand. Simply put, quite often, there was a specific issue and you weren’t at peace, and this issue and the resulting emotions are what pushed your ex away. The breakup is a consequence, but not sole cause of the sadness that you are feeling right now. First you were unhappy, and THEN the relationship with your ex suffered – not the other way around. The good news is that there is silver lining here. Despite the fact that you’re feeling so depressed after a breakup, it’s important to note that you are actually in control of more than you might think. Now is the time to take ownership of these feelings and begin working on yourself so that you can start to feel better. Personal development can open the doors to so much goodness and so much happiness that you can end up feeling better than ever before. You have to make sure that you evolve and that you focus on making improvements in your wellbeing and your sense of inner peace. Never Make The Same Mistake Twice With An Ex! Only THEN should you begin working on getting an ex back. If you depend on your ex for your happiness, you’re setting yourself up for getting hurt again. Many people struggle with emotional dependency on an ex, and that is a huge part of why they’re feeling depressed after a breakup. The key to getting through this period is actually to start loving yourself more and reminding yourself of what you bring to the table. If you know that you have some shortcomings, which by the way we all do, keep remember that you have the power to change these things. When you’re feeling depressed after a breakup, you have to begin by doing some introspection. Go ahead and grab a pen and paper, and begin writing down the elements of your personal life that got put on the back burner while you were in this relationship. Did you stop spending time with your friends and family? Did you lose sight of your professional goals? Did you put hobbies aside? Start thinking about what kind of elements you can start to reintroduce into your life so that you can fill up your schedule with things that bring you joy. It is crucial to start getting busy, even if the temptation to stay home on your couch is pretty big. Getting yourself out of your comfort zone and giving yourself new, exciting challenges can change everything. You’re going to start feeling better about yourself and what’s more, your new, positive energy is going to start attracting others like moths to a flame. Another powerful tool for getting out of depression after a breakup is physical exercise. Not only is it going to boost your self confidence because you’ll start seeing positive changes; it’s going to boost your energy and your mood because you’ll be releasing endorphins and serotonin. If you’re not really into going to the gym, begin exploring different types of avenues. For example, why not try out yoga, rock climbing, or surfing. Dance is also a fantastic option. Sometimes it’s just a question of finding something that’s really fun, and then it doesn’t even feel like physical exercise. Whatever type of physical activities you choose, the moment you start to take care of your body you’ll start to step out of this depression. Sometimes you have to force yourself to get up and out of the house. We should never underestimate the power of some fresh air. We are social creatures, and we need to interact with others in order to feel balanced and sane. No matter how tempting it might be, fight the urge to isolate yourself when you’re going through these emotions. Like I said above, it’s important to allows yourself to get into a mindset where you prove to yourself that you can be happy without your ex. Your wellbeing should never depend on another person because then you’ll always be vulnerable to falling into depression, especially after a breakup. If you take the time now to work on yourself, fix deep rooted issues that have been causing you to feel vulnerable and depressed, you’ll be able to change everything. You’ll be able to put yourself in a much better position for getting back together with your ex. You’ll balance the playing field, and you’ll have more control over the situation. Once your self confidence is restored and boosted, you’ll be able to flirt with your ex like you were able to in the very beginning of your relationship. Then, when he or she sees how much you’ve improved, how much you’ve learned from the breakup, and how confident you are now, they’ll be attracted to you like a moth to a flame, trust me! You might feel like the situation is hopeless right now, but don’t forget that you are more in control than you think. What I’d like you to take away from this article is simply that you can be happy without your ex, and that mindset is going to be a game changer. I know how important your ex is to you and how miserable you are because of this loss, but you cannot see them as the cause of your depression. It would be misleading and would make the process of getting them back much harder than it needs to be. You are in control of your actions, your happiness, your well being, and your evolution. The more time and energy you devote to taking care of yourself, the happier you will become, and the more attractive you will become to those around you. Your ex will be much more prone to wanting to be your partner if you’ve obviously grown into a new and improved version of yourself after this breakup. Sometimes a breakup is what is needed for your relationship to make a stronger comeback and be stronger than ever before. I know that these are challenging times and you might want a helping hand, so please don’t hesitate to reach out to me or a member of my team right here. It would be our pleasure to help you design a custom action plan and guide you from A to Z !